After what is regarded as probably the greatest of World Cups in 1970 in Mexico, the Euros rolled around again in 1972. This would be the fourth installment with the competition well and truly established and major sponsors now on board. Despite the massive popularity of the event UEFA resisted expanding the tournament and kept the same system as 1968 with qualifying through groups, two legged quarter finals and then finally with the semi finals and final being played in the one country. With many major countries going through or just coming to the end of golden periods it would be a fascinating tournament including all but two of the European nations. In the qualification stage there were no real surprises apart from France being eliminated while Scotland were Scotland scoring only four goals in six games with a very potent side featuring new star Kenny Dalglish that also fell at the first hurdle. The Dutch were in a tough group including East Germany and a Yugoslavia side still at the top of their game and only just missed out on getting through. They were not quite the ‘total football’ colossus to be seen in the World Cup two years later just yet. In the last eight old tried and true well known football countries would clash with young upstarts. In the first quarter final Belgium took on the champions Italy and after doing an Italy to Italy in the first leg at the San Siro by going defensive and eeking out a 0-0 draw they won 2-1 in the second leg to advance. The Belgium side was young of full of talent finally showing their potential after making a token appearance in the World Cup in 1970. Hungary and Romania had to go to a play off game after drawing over two legs with Hungary prevailing and through to semi finals for the third time. Two teams that had never missed the semi finals faced off in another quarter final. The Soviets managed to escape Belgrade with a scoreless draw against Yugoslavia before belting their cousins 3-0 in Moscow in the second leg to go through, one of them had finally miss out. In the biggest clash of the last eight an English side trying to get just a little bit more out of their remaining 1966 heroes took on a West German side through to this stage of the tournament for the first time. After doing a little bit of tweaking in qualifying to make the side even better the West Germans were now a very powerful outfit after falling just short of making the World Cup final in 1970 with Beckenbuaer, Muller, Maier et al at the peak of their powers. They showed this in their first meaningful game at Wembley since 1966 against England and belted the hosts 3-1 to all but sew up the tie. This was also their first win at Wembley since 1907. In the return leg in West Berlin they played out a 0-0 draw and were in to the semi finals with England to not be seen as a major force in Europe for a good 10 years. World Cup winning coach Alf Ramsey would be sacked and never have anything to do with the English FA again after they failed to qualify for the 1974 World Cup. After skipping the first two tournaments and being eliminated thanks to a 0-0 draw with lowly Albania in 1968 West Germany now took the tournament very seriously. With Belgium and England the only countries to apply to host the semi finals and final Belgium would host following England’s capitulation. It seemed to be a good fit for UEFA too considering the Cold War was chilly at the time and it was still a bit risqué to hold anything in the Soviet Union despite being the most consistent country in the competition since 1960. The first semi final would be between the hosts Belgium and West Germany. A team of young upstarts against the favourites and side ready to dominate the world. The Belgium featured fine talent but none more so than Paul Van Himst. Van Himst was captain of both Belgium and Anderlecht and was the star for the side to hang their hat on with his record amount of goals. In front of 55,000 rabid Belgium in Antwerp it was set to be a tight game but the West German’s time had come. Gerd Muller, the man with the cunning and body shape of Leigh Matthews and lethal feet to boot had hit his peak in Mexico for his national side and continued this in the Euros scoring a brace in either half. Belgium’s Odilon Polleunis scored late but West Germany were too good and in to their first final. After the third place play off the next time Van Himst would be seen would be in the movie ‘Escape the Victory’ alongside Pele, Bobby Moore and other legends of the era. The second semi final would again be between bitter rivals Hungary and the Soviet Union. From water polo to football it had all got a tad heated between the two since the Soviets had moved in with the tanks in 1956 and this would be no exception. What also made this match such as a hot potato was East German Rudi Glockner being appointed as referee which had the Hungarians calling for a change due to the fact they thought this was some Stasi-esque conspiracy to make sure the Soviets got through. In a scrappy match in Brussels it was a game full of fouls and recrimination with neither side being able to break through in the first half. Eight minutes in to the second half the small statured star Konkov put the Soviets in front with a rocket of a shot after a corner was cleared poorly by the Hungarians. Konkov was, of course, not even Russian and would have been playing for Ukraine in modern day football. The Hungarians searched for an equaliser but the Soviets held firm before with minutes to go a penalty was given to Hungary. So much for bias from the East German ref. Surely this would be the time to score, take it extra time and finally do away with their hated enemy. This was the time for Hungary to finally break their duck after coming so close so often after their 1954 World Cup heartbreak. The penalty was saved and the Soviets went on to win 1-0. The final was to be a big one with West Germany looking to stamp their authority on Europe and the Soviets striving to win another title after making it to the semi finals of every tournament so far. Politically, of course, the game was also a touch strained with Berlin still split in half by an extreme case of masonry and members of the Stasi backed ‘Red Army Faction’ being arrested throughout West Germany after shootouts just weeks before the tournament. Then there were hijackings by Eastern Europeans wanting to head to West Germany and freedom so it was all a bit NATO v Eastern Bloc. It was more UN than UEFA. The Soviets were not only facing a hot side but also the stadium would be three quarters full of West Germans who had travelled over the border in their thousands to cheer on their side to what would hopefully be their first trophy in 18 years. Then there was Muller, a player who had scored all four goals in the 4-1 belting of the Soviets in a friendly the previous month. This would be the most one sided Euro final to date. 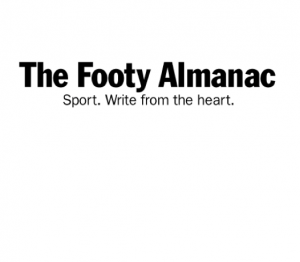 Germany’s quick passing highly athletic football was all over the outdated kick and rush pack the defence tactics of the Soviets. 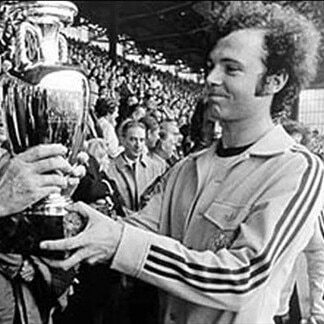 After 27 minutes the captain Beckenbauer set up the first goal passing to Netzer who had his shot saved brilliantly but after the ball rocketed off the crossbar it fell to Muller doing his usual goalsneak trick lurking and put the loose ball in the back of the net. Herbert Wimmer, the cart horse midfielder who was there to support Netzer in a minor role, scored a rare goal to make it 2-0 early in the second half. That was followed up with Muller’s second on 58 minutes to make it 3-0 and the game well and truly over. The only chance the Soviets had was when they hit the crossbar, but it was limp performance by a dated team overawed by the new age of football. West Germany were the champions. Their first European Championship and their first triumph since ‘The Miracle of Berne’ World Cup win in 1954. They would go on to win the World Cup in Munich in 1974, outlasting that quite brilliant Dutch side to be the first team to hold both titles at the same time and make them one of the great teams. GOLDEN BOOT – Gerd Muller. The stocky Germany with low centre of gravity scored 4 goals in the final two games along with6 goals in 8 qualifying games. The clear golden boot. SACRED COW – Gerd Muller. See above. A striker at his peak and someone who roamed his penalty area always being in the right place at the right time. 68 goals in 62 appearances for West Germany says it all. DUNCE HATS – The Soviets. Made the semi finals for the fourth time in a row and still only had one title to show for it. They snuck past Yugoslavia and then Hungary before being exposed by the West Germans.